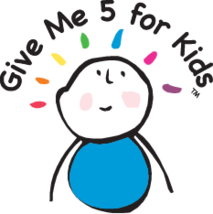 State Trustees is providing $1000 for Bendigo’s Give Me 5 For Kids, an annual fundraiser for the Bendigo Health Foundation which provides medical equipment and support for families with sick children. The donation was announced at the inaugural Bendigo Family Fun Day on Saturday 28 June. State Trustees General Manager Operations Angela Burton said it was a privilege to be able to give back to the community in such a positive way. “When we asked our Bendigo employees if there was a community cause we could support through the fun day, Give Me 5 For Kids came up immediately,” Angela said. “It is fitting that we have been able to support children and families that may not be able to have as much fun as everyone else and we hope the donation can help to make a difference. “The State Trustees office has been in Bendigo for two years and in that time our employees have supported a number of local organisations through our Wholehearted Giving program, as well as various fundraisers throughout the year.